As Florida Keys personal injury attorneys we hear this question a lot and have recently seen an uptick in the number of cyclists injured by automobiles and motorcycles. Injuries to cyclists can range from soft-tissue injuries (such as a strained back or neck) to paralysis or death. Undoubtedly, the high number of teenage and elderly drivers and the proliferation of drivers’ texting and driving have negatively impacted the cycling community – drivers are simply not paying attention or properly sharing the road with cyclists. 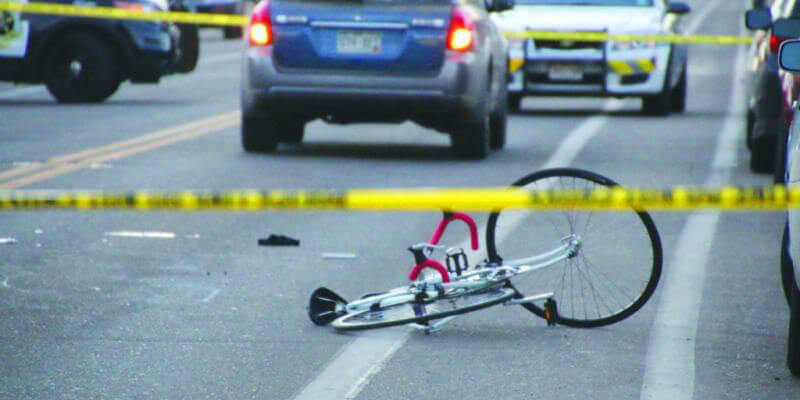 Worse yet, many accidents involving cyclists are “hit and run” accidents or accidents involving under-insured drivers. An experienced personal injury attorney familiar with cycling cases can determine which part(ies) may be liable for your injuries and help you recover damages to pay for medical bills, lost wages and pain and suffering. Injured in a cycling accident, who will pay for my damages (medical bills, lost wages, and pain and suffering)? Cyclists involved in accidents who do not have health insurance commonly wait to receive medical treatment as they are unaware of their automobile insurance benefits. This is a mistake and could hinder the cyclists’ ability to collect future damages. In Florida, pedestrians (including cyclists) are entitled to Personal Injury Protection (PIP) benefits. PIP benefits can cover both medical bills and lost wages up to $10,000.00. PIP benefits can be most beneficial to cyclists that require immediate medical assistance but do not have health insurance as the PIP benefits would cover their medical treatment. After a cyclists PIP benefits are exhausted (or assuming PIP is unavailable), the cyclist can always attempt to recover from the at-fault driver’s insurance. This is often accomplished with the help of a personal injury attorney. The injured cyclist can seek to recover past and future medical bills, lost wages, and pain and suffering (including the loss and enjoyment of life) from the at-fault driver’s insurance. [If PIP was available], the cyclist can seek to recover for their pain and suffering only if their injuries are of a “permanent” nature. The “permanency” of injuries can be hotly contested during litigation as pain and suffering is oftentimes the highest dollar value in a personal injury case. As such, it is important to have an aggressive personal injury attorney familiar with cycling cases fighting for you on this crucial issue. Who will pay for my medical bills, lost wages, and pain and suffering if the at-fault driver is uninsured, under-insured, or is unknown? Assuming the at-fault driver is uninsured, under-insured, or is unknown (i.e. hit and run driver), the injured cyclist can seek to recover damages through their own insurance company through their uninsured motorist’s coverage or “UM” coverage. An individual can purchase UM coverage for an amount equal to their automobile insurance’s Bodily Injury Limits. We encourage all of our friends and family to “max out” their UM coverage so they are adequately covered in the event they are involved in an accident where the at-fault driver does not have adequate insurance. Please note that it is estimated that 33%-40% of drivers in South Florida do not have any automobile insurance. A common misconception between cyclists is that because they have health insurance there is no reason to consult with a personal injury attorney. Health insurance will cover an injured cyclists medical bills; Health insurance will not cover an injured cyclists lost wages or pain and suffering. To reiterate, pain and suffering is oftentimes the highest dollar value in a personal injury case. An experienced personal injury lawyer may be able to secure a settlement offer (or jury verdict) for a client of anywhere between 2x to 100x (or more) in pain and suffering that the cyclists medical bills alone. Cyclist cases can be difficult to a novice personal injury attorney. These cases can be hotly contested as to causation/liability (i.e. who is the more at fault party – the cyclist or the driver). As such, we oftentimes send out an investigator to the scene to interview witnesses, take pictures (i.e. skid marks), and pull surveillance videos. We also have the ability to subpoena cell phone records of the driver to see if he/she was texting or on the phone and retain experts such as accident re-constructionists to rebut the driver’s claims that he/she was not at fault. The ability of a personal injury lawyer to spot these (and other) issues could make or break a cyclists’ case. Take advantage of the FREE consultation provided by our Florida Keys personal injury lawyers. Hiring the right personal injury lawyer who has experience representing injured cyclists could be one of the most important decisions you may ever make.